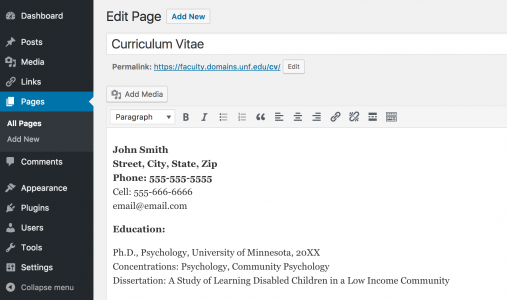 While WordPress pages are mostly static documents, you occasionally will want to edit them. 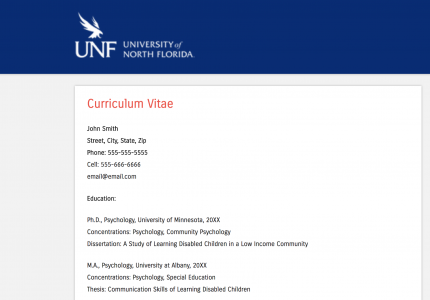 We’ll take the CV (Curriculum Vitae) page in the UNF Faculty Template as an example. 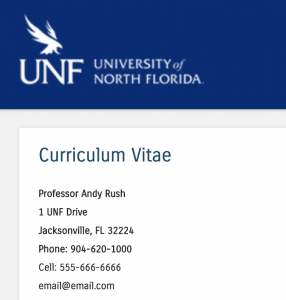 From the Menu of the UNF Faculty Theme, you’ll see one of the pages is called Curriculum Vitae. 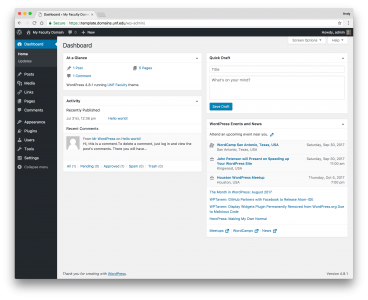 To edit the page, you should be signed in to your WordPress site and viewing the Dashboard. Go to the Pages > All Pages menu. All of the Pages will now be on view. You can finish the phone number and email address, then scroll down to continue editing the document until you reach the end. 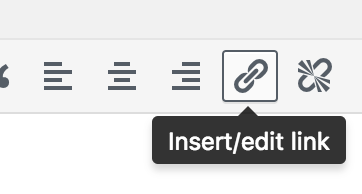 Click the Insert/edit link button. Add the address that you want the link to go to. Press Enter on your keyboard or click the blue Enter button – . 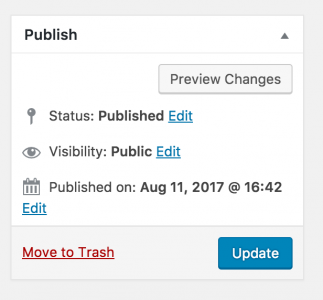 You can now click the Update button to commit your changes. 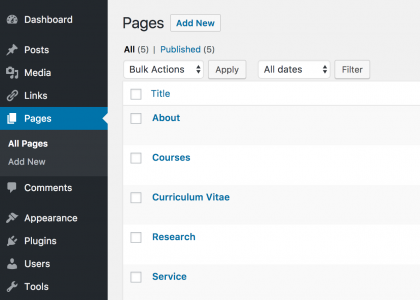 You can now view your page on the website by clicking on the View page link at the top of the editor window. 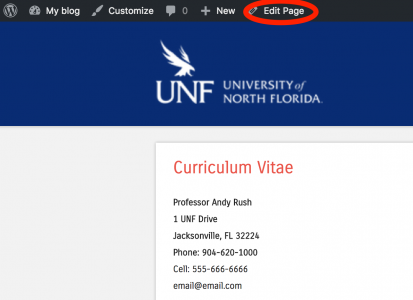 If you need to do further editing, while viewing your page in the browser, click the Edit Page button in the top toolbar. Now you can edit this page and others whenever you need to.